How Do I Get a Job as an App Developer? 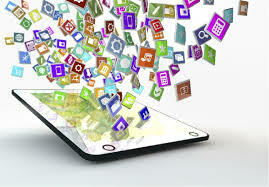 With the rise of mobile phones and tablet devices has come the rise and increasing importance of the app developer. Though it’s fair to say that such a developer could work on creating applications for dekstop comptuers, the title is almost always given to those who work exclusively on mobile applications that enrich the functionality of a smartphone or tablet. As such, this position is relatively new and the requirements for becoming a developer in this area are still evolving. With that said, there are a few general guidelines for aspiring mobile developers to follow in order to land a job in this field and take advantage of its explosive growth. Even though mobile apps are a significant departure from their desktop counterparts, they still require advanced knowledge of computer science, various operating systems, common programming languages and the best practices required of a successful developer. Many of these skills are only taught in a college program, based either online or in a traditional classroom. With at least an undergraduate degree in computer science, aspiring developers will acquire an array of key computer skills for good development. They’ll also take a significant quantitative course load, which helps to enforce the logical nature of application assembly and actually ease the learning curve of many popular programming languages. Writing and maintaining an application requires developers to have experience in the field, and that’s exactly what an internship will allow them to gain. The number of application development firms is vast in today’s economy, with growing companies based in every major city around the world. Whether it’s an internship with behemoths like Google, or work with a startup like Snapchat, there are plenty of ways to understand how traditional computer programming and the future of mobile development often have many things in common. This experience will also help aspiring developers build a resume that’s attractive to hiring managers in this industry. Application developers should spend their free time pairing their studies with self-guided practice and testing. Build a small application at home for Android phones, test it for bugs, add new features, and experience the thrill of creating something new. Then, try creating the app for iOS, Blackberry and Windows Phone devices. Gain experience porting the application, maintaining it across platforms, and achieving feature parity. These skills don’t necessarily go on a resume, but they do help candidates impress future employers. They help developers talk about what it means to create a new application, maintain an existing one, and address the cross-platform development concerns that are only growing bigger as the market adapts to a four-platform ecosystem. The good news for aspiring developers, whether for mobile or desktop ecosystems, is that the tech industry remains one of the strongest in the world. Growth among computer programmers and others who work on app design is expected to outpace other industries and, in most cases, it’s expected to outpace growth in other tech-related jobs. As a result, those who cover their bases and pursue the right kind of training will probably find it pretty easy to land an entry-level position as an app developer.